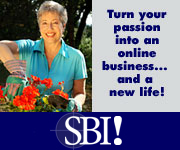 Self Improvement Sites – All Created using SBI! How many self-help sites does it take to change a light bulb? The following self improvement websites listed on this page – portals and resources aimed at web self help – ALL have the following thing in common: SBI! That's it, really, other than to say that the sites below were created by people like you and people like me - all using SBI!. Ordinary people just trying to make a difference using their own skills and driven forward with their own passions. So I (politely) suggest that you visit one of the free self help information sites below and see if you think the people who created the sites - again, ordinary people like you and me - succeeded in that goal. I say that all of the self help improvement websites that follow really do help you help yourself. Ahem. Well it would be remiss of me to discuss self improvement sites without mentioning the Self Help Collective. Wouldn't it? Basically, the Self Help Collective is about the wisdom of many being greater than the wisdom of one (i.e. the one guru). So it offers guru-free self-help, and it urges you to help yourself (with what you don't know) AND help others too (with what you do). This is one of the loveliest 'self improvement sites' I visited when doing research for SelfHelpCollective.com. After all, saying sorry is actually quite a hard thing to do, but we all do make mistakes in life (that's what it means to be imperfect, don't you know). Not only that, PerfectApology.com is a really nicely designed site, too. "How can you become your authentic self?" Verdict: Great for finding out how great you truly are! NOTE: All these self improvement sites are created by Solo Build It! have a passion for self-improvement. What's your passion? to help yourself, help others. Sound familiar? into a money-making website of your very own. Really! "Change the invisible and the visible will follow"
There are many self improvement sites about the mind, but this is one of my favourites - "your ultimate guide to using mind power to create your reality". It's a lovely-looking site that encourages you to learn how to use your mind in more positive, beneficial ways. I'm a big fan of mind-power and will be visiting this site often - I suggest you do, too! Verdict: Visit and subscribe to the free newsletter. "Famous Motivational Quotes, Sayings and Thoughts That Will Help Guide You on Your Path to Success"
Inspirational quotations are all well and good, but what do they actually mean when it comes to living your life as well as you can? Well, BeyondTheQuote.com seeks to answer that question by going beyond the quote (clever, eh!) Good newsletter too. Verdict: Visit if quotations is your thing. "The power of giving. Are you a believer?" Well I am a believer, and that's why I'm going to give a link to this excellent, thought-provoking website. I really do believe that one of the best ways to help ourselves is to help others, and Power of Giving shows you how to do just that. It's great to have the benefits of positive thinking explained so clearly as in the case of Cris's website. Lots of glowing testimonials from other site visitors too. Topics include positive stories, positive habits, positive art... Worth a visit! A comprehensive resource of information on depression including the causes and effects, treatment strategies, and tools for managing depression. Also provides support, advice and on-line depression tests for assessing whether professional assistance could be beneficial. Consistent Parenting Advice - If parents got it 'more right' then there'd be much less need for sites like SelfHelpCollective.com. Maybe! Find and Keep True Love - "Your trusty toolbox for the romance blues"
(*) Again, the above self improvement sites were all built using Solo Build It! Share this self improvement sites page - thanks!